the bridges of the River Jordan before the arrival of IDF reserve forces. 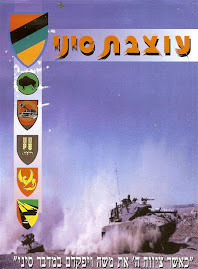 Infantry Division “had split the Israeli defensive forces, and now threatened the command center at Nafakh. 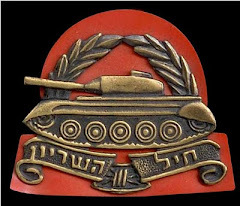 The remnants of the Barak Brigade were barely hanging on and were in desperate need of reinforcements. 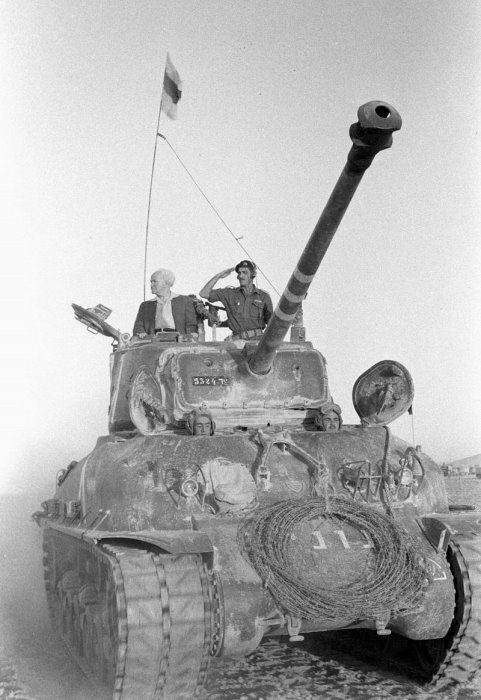 The collapse of the northern sector could have forced the IDF to fall back to the Jordan River and therefore changed the outcome of the war. The original plan of reinforcing with reserve brigades was falling apart. 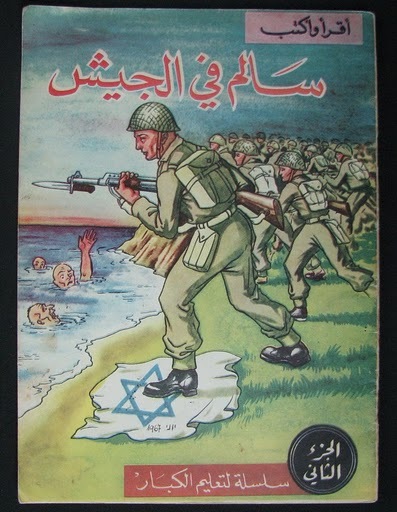 “As Israeli reserves arrived on the shore of Lake Tiberius and the west bank of the River Jordan,they were immediately sent forward in small groups into battle.At this time, something just short of a miracle was underway at Nafakh. Frantically trying to reach the Golan by any means possible was [Lieutenant] Tzvi ‘Zvika’ Greengold, who had been on a fortnight’s leave.” Lieutenant Greengold had been safely at home, near Haifa, only seven hours earlier. He had just been released from service with the Barak Brigade and was on leave for two weeks prior to attending a company commander’s course. He was one of the first soldiers to make his own way back to the battlefield. At the Nafakh headquarters of the Barak Brigade, the commander, Colonel Ben-Shoham, was analyzing spot reports coming in from his battalion commanders on the size of the Syrian attack. While he was deciding his next moves, he was approached by Lieutenant Greengold, who arrived to find Nafakh in chaos. 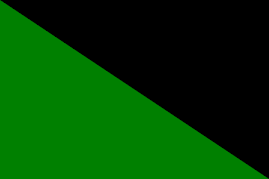 Greengold, having no troops nor tanks to command, assisted with the removal of the dead and wounded from disabled vehicles. He soon learned that four tanks, three of which had been battle-damaged, were about to arrive. Zvika requested and received command of the four tanks.He was delighted. 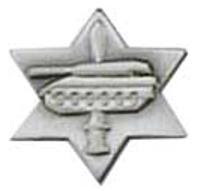 Lieutenant Greengold was ordered to take the four tanks and move towards the Tapline Route, a major Syrian avenue of approach. 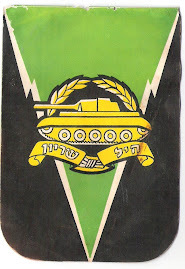 Lieutenant Greengold and his four tanks were to be known on the brigade communications network as Force Tzvika. fortifications in the vicinity of the Hushniya-Tapline crossroads. 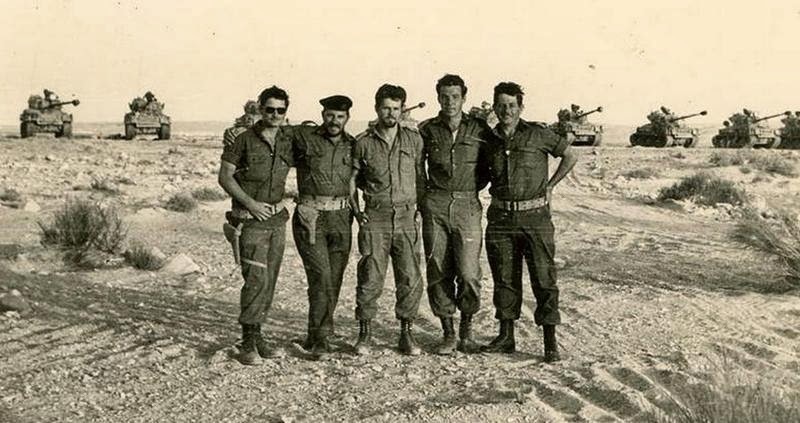 Savage nighttime firefights were taking place across the southern Golan Heights, and Israeli troops were cut off in their frontline fortifications. Transmissions to their headquarters at Nafakh finally produced authorization to withdraw, but this was easier said than done, with Syrian forces to their rear. At Kudne, a relieving tank force broke through to Bunker 111, despite strong Syrian forces in the immediate vicinity, and succeeded in evacuating all the men. only twenty meters from where he was hunkered down. The first shot stopped the first target and stalled the entire column Zvika was up against terrible odds, but he had the enemy fixed and was in position to destroy the entire column. Zvika withdrew into the darkness, taking advantage of the scrub and rocky outcrops, only to appear and fire before disappearing again. He kept this uneven match going for over an hour.The Syrians’ sole warning was a crash and a long jet of white flame shooting through the night to destroy another of their vehicles. The Syrians were extremely bewildered by the single shot that kept hitting their tanks from all along the roadway. Frustrated, several Syrian tankers switched on searchlights to try and locate what they thought was a sizeable enemy force. The illumination gave Zvika and his gunner more clear targets to engage. Ten armored vehicles were either destroyed or damaged before Major Ismail ordered the remnants of his battalion to withdraw. What the Syrians believed was a sizable force was actually the work of a single tank crew. but he rolled into a ditch and somehow smothered the flames. He was fearful that at any moment his tank, still carrying fuel and ammunition, would blow up. Not realizing the extent of his wounds, he ran towards another tank, shouted garbled instructions, and took command of the vehicle. 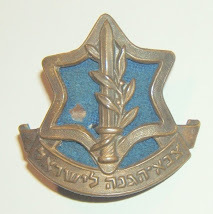 He then activated the communications system, announcing to all that TF Zvika was still in existence Even as Colonel Ben- Shoham’s relieved acknowledgment faded on the radio, Zvika realized the extent of his wounds, and the terrible burns on his face and hands began to throb and blister. 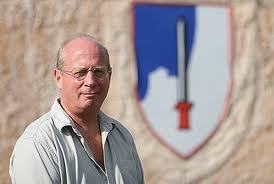 Only Colonel Ben-Shoham’s calm but insistent voice brought him back to reality. 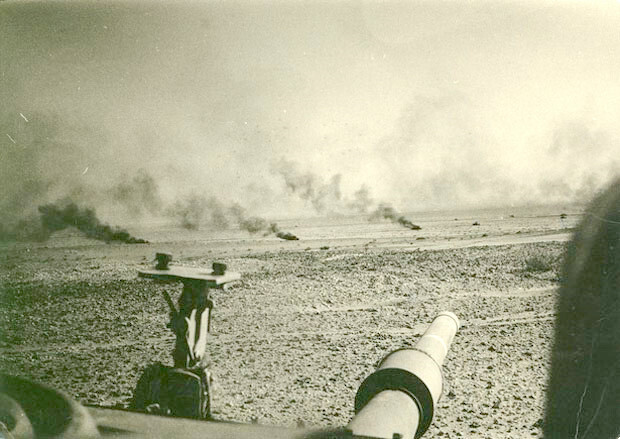 Moving straight for him were two Syrian tanks, bearing down with their guns firing. Zvika fired and screamed for his driver to reverse. The tank shuddered as its tracks tore around on the bare rocks, then raced backward into the inferno of the night, its crew still battling against the heavy odds. 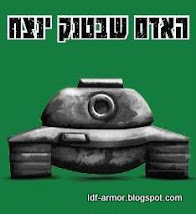 The remainder of Colonel Ben-Shoham’s counterattack force also made contact with the mechanized infantry that had been accompanying the tanks that Zvika encountered. More’s tanks were hit and disabled, one at a time. When More saw a Syrian soldier aim an antitank rocket at his command tank,he grabbed hold of his free machine gun and opened fire. However, his machine gun jammed and the Syrian grenadier let fly. More was thrown from his tank and lost an arm and an eye in the blast. 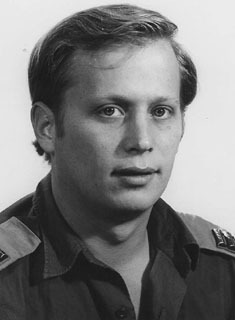 Colonel Ben-Shoham reported up the chain of command the failure of his counterattack and did his best to stabilize the situation. With minimal resources he calmed the nerves of his commanders, called for artillery support, and attempted to maintain situational awareness of the battle that surrounded. 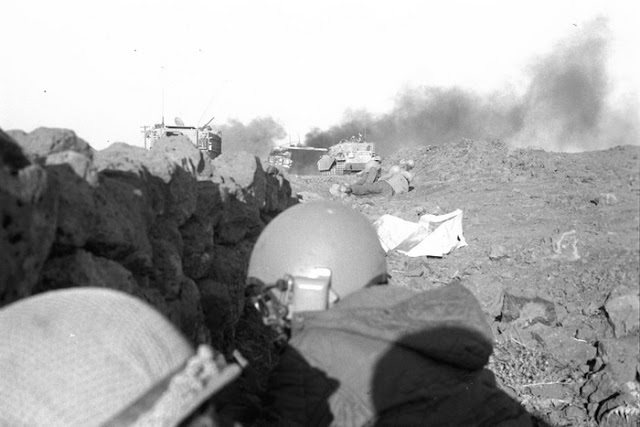 inside the base, and Lieutenant Colonel Cooperman’s determined antitank unit, now out of ammunition, was cornered by a T-62. As the T-62’s 115mm gun turned towards them, the tank went up n a ball of flame. Approaching the rescued officers was a battered tank moving at a slow speed. It was Zvika! Zvika had arrived at Nafakh camp just as the Syrians were breaking in, he had joined forces with a reserve tank, and with more enthusiasm than good sense his exhausted crew attacked the Syrians. lethargy, Zvika painfully climbed from the turret and carefully dropped to the ground, where he leveled his eyes on the intelligence officer and apologetically murmured, ‘I can’t anymore.’ The intelligence officer said not a word; he hugged Zvika close and led him to the medical evacuation center. There is no way to calculate the damage that that iron-willed redheaded youth inflicted upon the best plan with which Syria has ever entered a conflict. 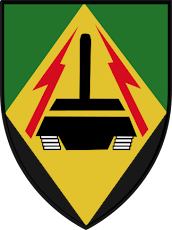 leader in 1-37 Armor in Germany. Thank you for all this insightful information. This exact scene is happening again not only in Iraq but in other Middle East countries as well.